Jan. 11, 2016, 11:38 a.m.
By Shan Wang @shansquared Jan. 11, 2016, 11:38 a.m.
What is the public radio of the future? 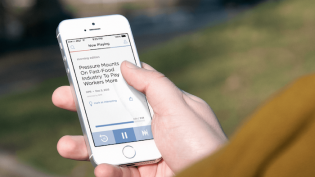 Here’s one vision: NPR One gives listeners a highly personalized stream on their phone, that pulls in stories from national shows, local newscasts, podcasts outside the NPR world. That stream is built to consistently delight, based on data from both active and passive listener behaviors. All local stations are able to participate easily, feeding audio content seamlessly into the stream so satisfyingly that users pull out their wallets and become sustaining members. 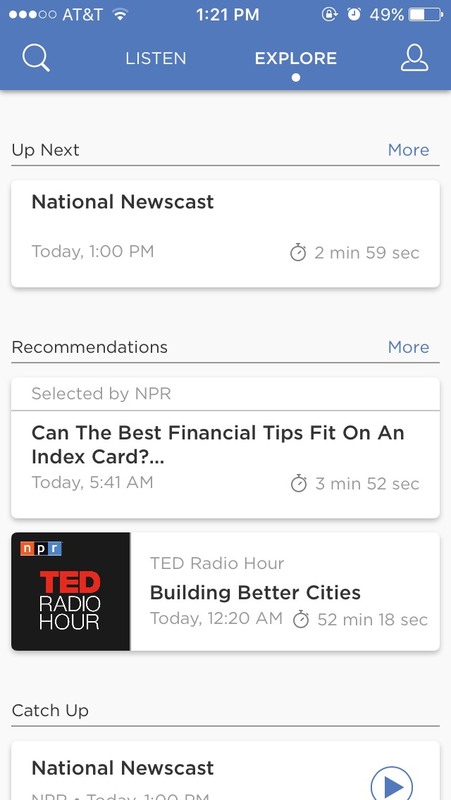 The NPR One app entered the scene a year and a half ago, with the aim of being “the best newsmagazine for you at the moment you want to listen,” (this according to vice president of digital media Zach Brand). It sits on mounds of useful data on listener behavior, and the team working on perfecting the app takes listener feedback extremely seriously. There’s a dedicated Facebook group where users can register feedback and report bugs, however minor. The team has called up individual users to check whether a new algorithm scoring listeners’ podcast preferences was actually reflecting back the podcasts listeners wanted to hear. The newest update to the app, released Thursday, moves it another step in the direction of becoming a one-stop shop for all audio content, from local content to podcasts outside the NPR world. (“The Netflix of listening” is a term that the team’s floated around as an aspiration.) There’s a new “Explore” section you can swipe into to discover other podcasts and single stories, with recommendations based on a user’s listening history, a list of upcoming stories in the stream, and a “featured” section with a curated list of local and national podcasts. (I see suggestions like Alt.Latino, Wait, Wait, and books-related content from On Point with Tom Ashbrook.) There’s a new search option, from where I can pull up NPR competitors’ podcasts, like Reply All from Gimlet. “Following” podcasts, introduced earlier, is now a little easier. I can choose to catch up — on demand! — on the latest national newscast or the local newscast with a tap. As more of an on-demand listening source than radio, NPR One has had to contend with new questions around editorial standards. When we spoke, Sarasohn was dealing with a recent story in which former students of a Rhode Island boarding school spoke about their experiences. A follow up to the story ran after on the radio, with a response that contradicts one of the accounts in the original story. “On the radio, you just play the correction and hope some of the same people hear it. On NPR One, we can get back to just the listeners who heard the original. The question is: Are we now obligated to do that because we can? We’ve never had the ability to do this before, so it’s never come up,” Sarasohn said. NPR doesn’t disclose total number of listeners for the app, but Isabel Lara, NPR’s director of media relations, told me app usage “has been growing at a steady pace of 9 percent month over month” — that works out to about 280 percent growth per year — since launch, with the average listening session over half an hour long. The next biggest challenge, Sarasohn told me, is how to effectively bring every individual local station into the NPR One fold. Among the most common pieces of feedback the team gets are pleas for more local content — many member stations don’t have the resources to offer content for it — as well as an option to select more than one “local” station. (Here in Boston, for instance, both WGBH and WBUR are available in the app — what to do? And some might want a taste of life in their old hometown even after they’ve moved away.) The technical hurdle for smaller stations to participate is significant — “especially when it comes to news, which has a very limited shelf life.” Moreover, each station maintains different workflows, follows different naming conventions, and uses different software, so the proper response can’t just be to have an NPR One CMS where everyone tosses in their stories to be included in the app, Sarasohn said. It’ll require a lot of talking to local stations, to figure out the individualized needs of each. NPR will now have someone to do this talking: It’s recently hired program director at Michigan Radio Tamar Charney in a new role as local editorial lead for NPR One. Charney would “work with stations to make sure that NPR One feels local, better represents local news and shows, and direct NPR One’s growth to support station priorities,” according to a memo about her hire. 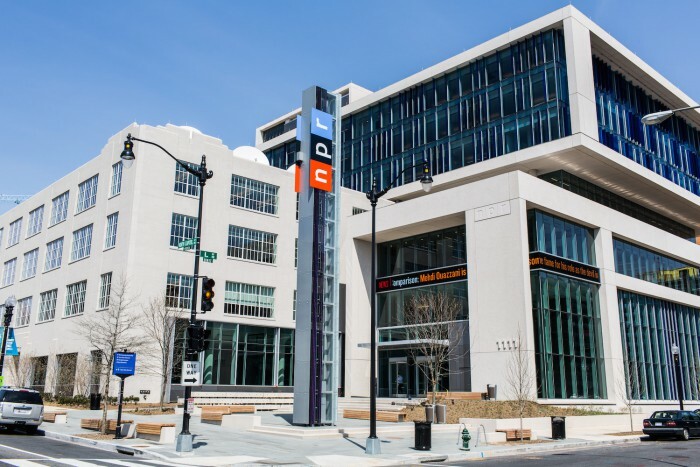 “I have some ideas for what might make NPR One feel more local, but those ideas can’t come from me — they have to come from the stations,” Sarasohn added. Local stations, for instance, don’t have much curatorial control over their stories that go into the app. The stations also don’t have the same analytics on listener behavior — what they skip, when they skip, and so forth — that the national team uses to curate. NPR’s Boston-based digital services team help out with partner stations on some of the relevant technical work. But soon NPR One will have in Charney someone to oversee the editorial side of this fine-tuning of local offerings in NPR One. NPR One currently runs membership messages from stations for listeners (depending on the station listeners are localized to). Working in the elements of underwriting, pledge drives, and all the other things that support NPR is a “very nascent” area for the NPR One team. With the app, there’s the potential for tailored pledge drives and also individualized thank you messages, for instance. “One of the most ripe areas for experimentation is around engagement, around getting people to feel more of an identity with their local station and wanting to, well, give their money! We need to have a business model,” Sarasohn said. Photo of NPR’s old home by Todd Huffman used under a creative commons license. POSTED Jan. 11, 2016, 11:38 a.m.
Wang, Shan. 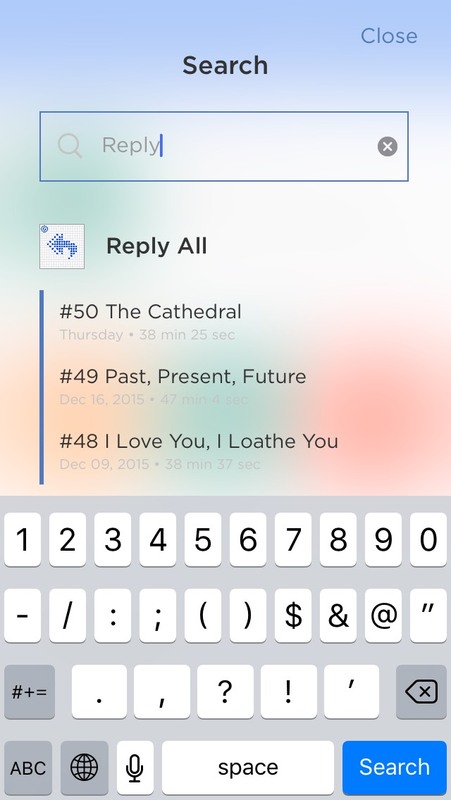 "Out of many, NPR One: The app that wants to be the “Netflix of listening” gets more local." Nieman Journalism Lab. Nieman Foundation for Journalism at Harvard, 11 Jan. 2016. Web. 24 Apr. 2019. Wang, Shan. 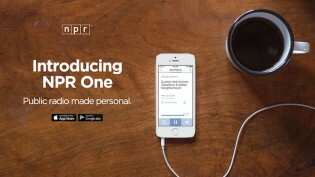 "Out of many, NPR One: The app that wants to be the “Netflix of listening” gets more local." Nieman Journalism Lab. Last modified January 11, 2016. Accessed April 24, 2019. https://www.niemanlab.org/2016/01/out-of-many-npr-one-the-app-that-wants-to-be-the-netflix-of-listening-gets-more-local/.